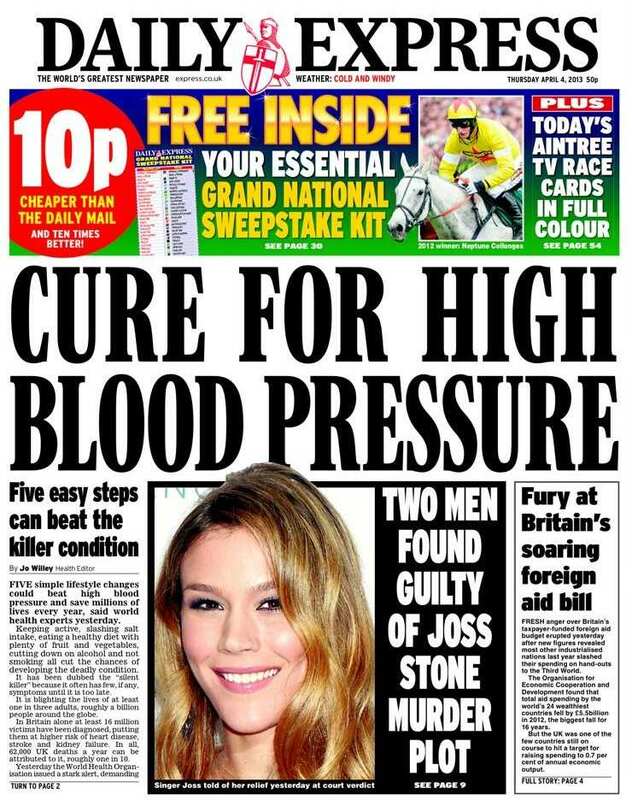 This is not the same 'cure for high blood pressure' that the Express announced on 18 December 2012. It's different from the one from 1 November 2011, too. Keeping active, slashing salt intake, eating a healthy diet with plenty of fruit and vegetables, cutting down on alcohol and not smoking all cut the chances of developing the deadly condition. 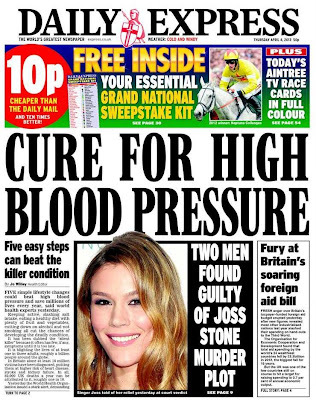 Most of these are rather obvious things that pop up frequently in 'secrets of a longer life'-type stories on the front of the Express. a study...shows although blood pressure reduced when salt intake was cut, this had no long-term health benefits. Earlier this year the Daily Express revealed how “nanny state” council bosses at Stockport Council banned salt shakers in fish and chip shops as part of a healthy living drive. But critics condemned the move, insisting customers should be free to make up their own minds. 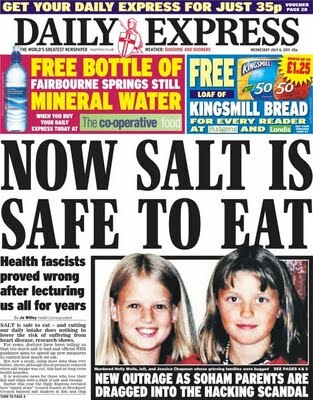 While that is indeed what the Express claimed in a front page story ('Salt banned in chip shops'), it was not true. Fantastic job as always. Good work.